Classical art, classical music, classical literature — yeah. Classical God? As you may have guessed by now, we’re interested here at An Open Orthodoxy in exposing and examining our deepest view of God and what consequences follow from it. To that end, we thought it would be helpful to describe what we have in mind when we speak of these different views of God (and the larger worldviews that form around them). We’ll start with the most popular and traditional Christian view of God, a view we’ve already referred to as “classical” theism. You’ll hear open theists and Process theists use the term and criticize the view incessantly. We’ll get into those criticisms later. For now let us state simply what we believe to be at the heart of this “classical” view of God. Classical theism is a constellation of beliefs about God, but there is at its center the single and fundamental belief that God is actus purus or “pure act” (“pure actuality” if you like). Now, actus purus is Latin, and that places us in the Western or Catholic (Latin speaking) tradition, as opposed to the Eastern Orthodox. So the question arises, Do the Orthodox also believe God is actus purus? And the answer would seem to be yes. More later. Consequences follow from this. For example, there is no ‘temporal succession’ in God, no “before and after” and thus no memory of things past and no anticipation of things future; nor are there any changes in states of mind, i.e. no thinking one thought after another and consequently no ‘coming to know’ what ‘comes to be’ as it comes to be. These consequences can all be gathered together underneath what theologians call ‘immutability’. In the case of “classical” theism, that immutability is absolute. Isn’t God unchanging in any respect? Yes, he certainly must be. But do the senses in which God must be unchanging or immutable preclude the possibility of his being open to change in other senses? Interestingly, when the Orthodox explain why it’s important that God not be thought of as possessing any unrealized/unactualized potential, we (Dwayne and I) find ourselves agreeing with the values that motivate the Orthodox. That is, we agree that what it is the Orthodox wish to protect regarding God ought to be protected and maintained — whether it’s the unimprovable and undiminishable fullness of God’s life, his absolute freedom from Creation, his imperturbable triune delight, even his transcendence of time. 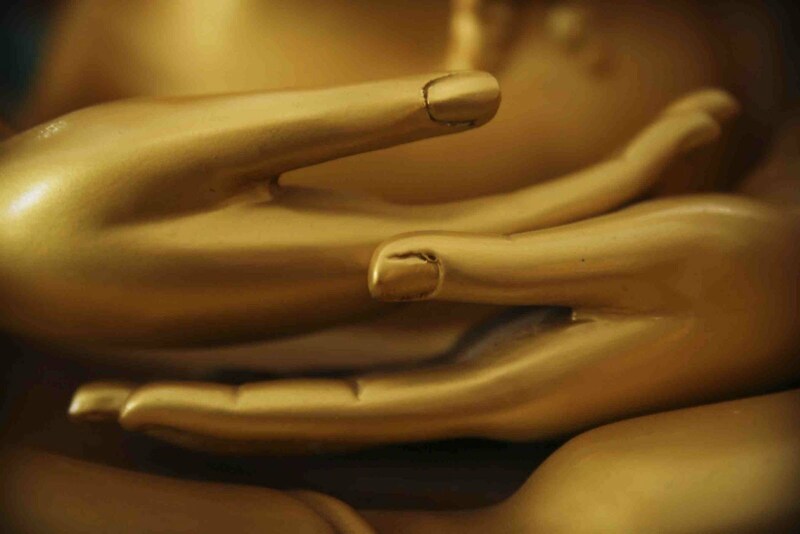 In all these senses God is actus purus, pure actuality with no potentiality whatsoever. At this point some may be wondering how it is we are open theists at all. And you will find we disagree with many of our open theist colleagues in how we integrate divine transcendence with our open theism. But as we hope to show (and as we think Greg Boyd does show in Trinity and Process), God would suffer neither loss nor diminishment in any of the required senses were God also to experience the world in its temporal flow, be open to its contributions, and know its future as open. 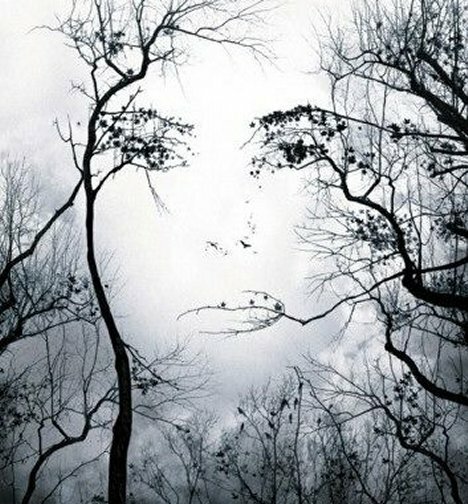 What if we were meant to be trees? Meant to give life instead of take it? They were freckles on our faces naked? Meant not to fake it? What if we are trees but don’t yet know it? Because we don’t yet know how to show it? Drink in its life, breathe it out for all. And whose face is every face we’re seeing. The “stuff” out of which God is made? That’s a mouthful, but what Greg is expressing here is the Orthodox belief in the indissoluble relations of Father, Son and Spirit. 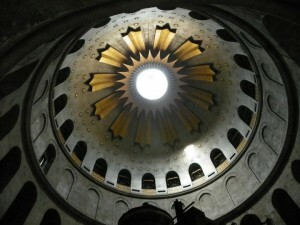 The triune relations are eternal and necessary and thus are not world-dependent. What they are essentially can’t be emptied or vacated at will. But it certainly looks from Greg’s recent video blog that he now believes the eternal Son vacates his experience of loving relationship with the Father. The Son is ‘separated from’ the Father. The question becomes, Is what Greg’s saying now an abandonment of his views in Trinity and Process? We think so. 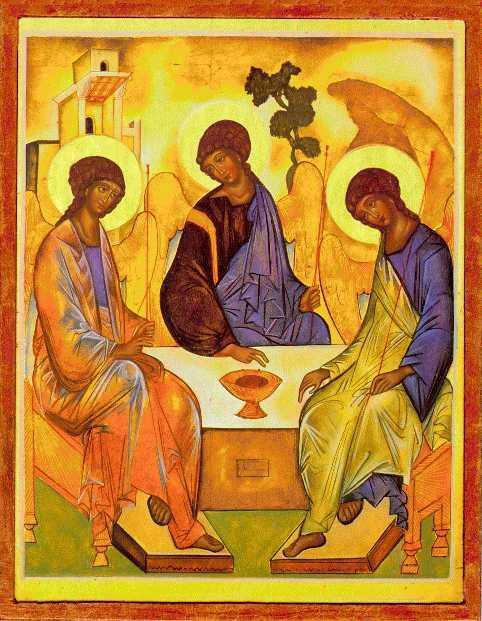 Is it an implicit abandonment of God’s essential triune actuality? We think so. Greg will surely insist that God is essentially triune and can never become otherwise, but nevertheless the Son is actually separated from the Father. This leads to his conclusion that the actual separation of the Son from the Father must be in some mysterious way their actual unity. Does this work? We think not. We want to argue that in order for Greg to maintain this, he has to abandon a ‘relational’ metaphysic (a view of God’s essential divine nature as irreducibly relational) for a ‘substance’ metaphysic, something he explicitly advises us not to do in the same video blog. Greg is now (unknowingly) committed to a ‘substance’ understanding of divine reality because he no longer views God’s triune actuality as the actual, conscious, experience of shared loving identity between Father, Son and Spirit. On the contrary, Greg now holds that the Son ceases to share in and be constituted by this experience, and this is only possible if something other than actual, experienced relations accounts for God’s unity. It is now this “something” and not the actual experience of divine persons-in-relation which bears the necessary attributes of God and constitutes his unity. What might that something be? Whatever it is, it isn’t ‘personal relations’ (i.e., the actual experienced enjoyment of the begetting, receiving and sharing of loving personhood). It can only be some divine “substance” or “stuff” out of which God might be said to be made and which is more fundamental to God and God’s unity than the actual enjoyment of loving relations, something more fundamental than conscious experience itself. Grounding God’s unity in this “something” (other than the actual experienced enjoyment of the Three) is what seems now to have transformed Greg’s view of God from an essentially ‘relational’ to an essentially ‘substance’ view. God is essentially something other than the conscious, experienced enjoyment of triune love. Sanders feels this is good news, for “it enhances the degree to which the openness model agrees with more of the tradition.” We’d like to explore the nature and extent of that agreement in this and future posts. Our conviction is that the Orthodox doctrine of apatheia is far better understood as “equanimity.” But it’s not difficult to understand why the Fathers, given their challenges would want to express this in negative terms as a- followed by the dysfunction or abuse they wished to dissociate with God. But a wider reading of these same Fathers (which we’ll have occasion to review in future posts) shows they attributed emotions to God with great conviction and consolation. Open theism has built its case (rightly) on the view that God is love — fundamentally and essentially. But what this entails involves us in some disagreement. Open theists virtually all agree that as ‘love’ God is believed to be emotionally open or ‘vulnerable’ to a suffering world. So God’s—if you’ll permit us to use the phrase—‘emotional life’ is in a state of constant flux between fulfillment and diminishment depending partly upon the well-being of the world. God’s overall “aesthetic satisfaction” (to borrow a phrase from Greg Boyd which we’ll use a lot here) is understood to be the difference of an equation involving both God and world; that is, reasons God has to be joyful and ecstatic minus reasons God has to be sad or diminished. To open theists (with virtually no exceptions) then, ‘vulnerability’ essentially means we get to decide how happy God is. In our view, however, open theism need not adopt this understanding of divine love, and there are good reasons to urge open theists not to move in this direction. We suspect some will find this surprising given recent statements by Greg (preached and published in various forms) regarding God’s suffering love. The most recent summary of his views are expressed in a ReKnew video blog where at minute 3:50 he says, “The love that unites the triune God is greater than their own enjoyment of that unity” and moments later “The separation of God from God on the Cross represents the perfect unity of God with God.” We hope to show why this ought not to be our view of love. Obviously there are contexts that qualify everything one says, and in our upcoming treatment of Greg’s work in Trinity and Process we’ll be careful to examine Boyd both then and now, but for now it should be clear that his present position and views on the Trinity (with respect to divine suffering in/with the world) are not what they were when he authored Trinity and Process. God, our cosmic repair man. Doesn’t break or wear out? A couple of weeks ago I ran across Chris Emerick’s (Strayer University) paper (presented at the 42nd annual meeting of the Society of Pentecostal Studies last month in Seattle) titled “Conversation, Being, and Trinity: Toward a Trinitarian Hermeneutical Linguistic Ontology.” I know I know. Titles. Wow. What would Freud say, right? Anyhow, it was a great paper. 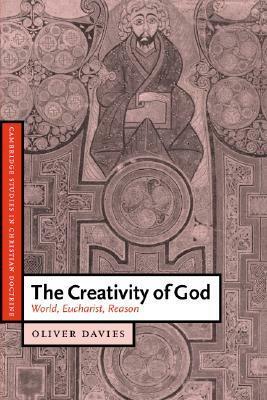 And in it Emerick appropriates Oliver Davies’ work in The Creativity of God: Word, Eucharist, Reason (Cambridge, 2004) which I ordered and am just into. I thought I’d share a bit from his introduction that leads me to suspect he’ll have something helpful to say regarding God’s transcendence of the world. Can’t wait. The second element in this middle section of the book is the use of a theory of the text in order to conceptualise the relations between the divine speaking and the world. The world stands to the divine originary breath/speaking as a written text does to the voice of its author(s). This parallel has a double value. 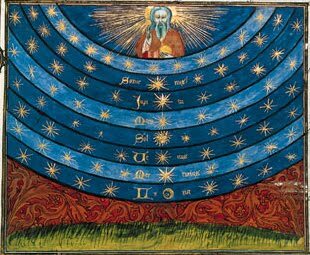 In the first place it offers a model of the coinherence of God and the world which reproduces many aspects of the medieval system of analogy without, however, employing the Aristotelian model of causality which postulates a similarity between cause and effect. And secondly, while a theory of the cosmic text is not explicitly present in Scripture, it is deeply consonant with a scriptural account of the world. Texts, like bodies, are voice-bearing, and when the author entrusts their voice to a text, it undergoes a kind of alienation as the context of the speech passes from an intimate, oral medium to one that is objectified in the visibility of the written word. The text itself thus becomes a modality of embodiedness: a voice-bearing corpus of deferred, or replicated, presence. The author now knows that from now on their voice can only be received through an extensive act of interpretation. The authorial voice remains in the text, to be heard and understood, but only indirectly and through the interpretive imagination of others. The world is much like this in its relations to God. It demands to be understood and known by a community of human interpreters. Most fundamentally, the divine voice (and will) can be and frequently is entirely misunderstood and abused by its human interpreters. The divine voice, or breath, which is entrusted to the text of the world becomes estranged within the medium of the text. It is this that leads to the second cycle of divine creativity, which is the repristination of the text of the world. In this section of the book, I develop a pneumatology which understands the Holy Spirit to be the continuing presence of the divine breath/voice in the world—the world-text’s memory of its origin in God—and the Son to be the redemptive and sacrificial sounding again of the divine speaking within the text, as the retrieval of the world-text back into the flux of originary Trinitarian speech.